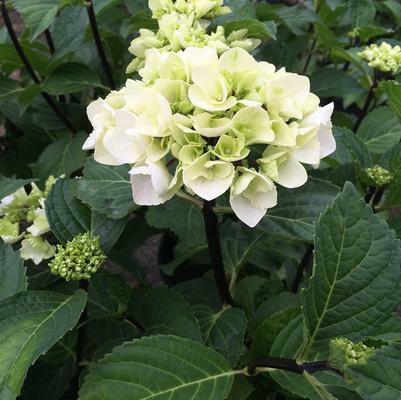 Green flowers turn to white and measure 3 inches tall and 5 inches wide, and bloom all summer. The contrasting near-black stems provide a striking combination. 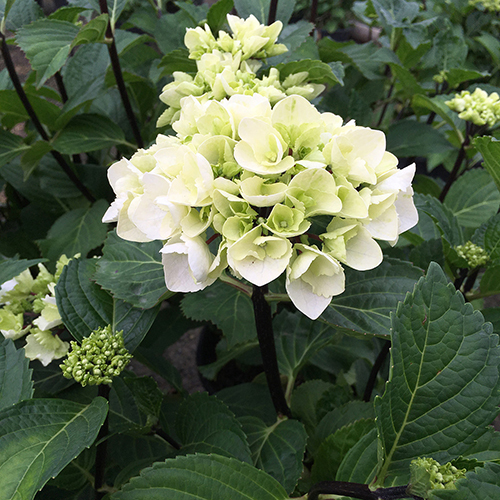 Matures at 4 feet tall and 3 feet wide.